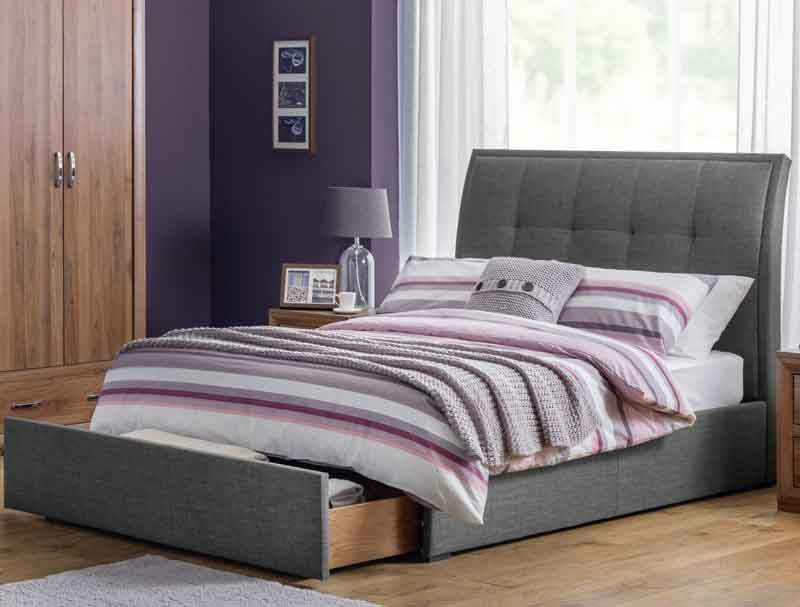 New for 2018 the Julian Bowen Santon end drawer bed frame, it offers a great stylish design with curved back headboard and low foot end concealing a pull out end drawer. 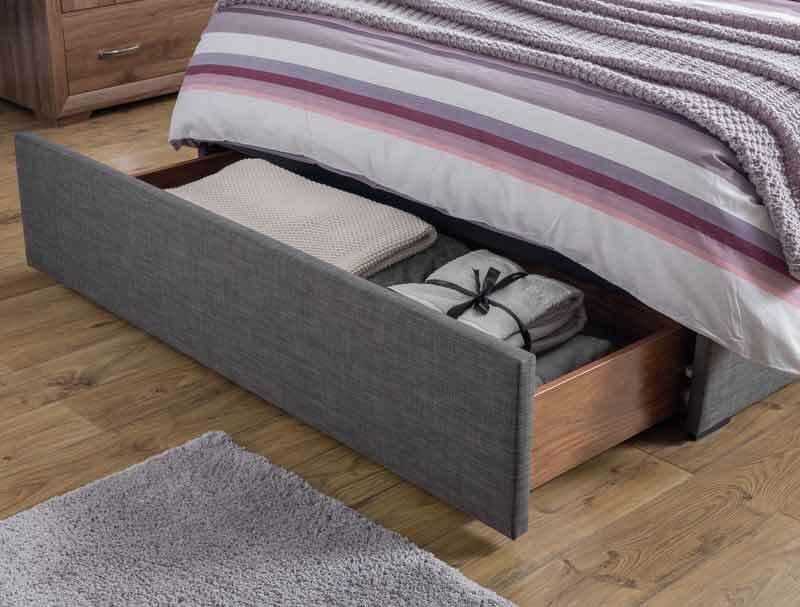 The Santon bed frame is only available in a grey linen fabric and comes in double and king size with a sprung slatted base. Like all Julian Bowen products this bed frame is delivered Free of charge to most areas in 7-10 working days. 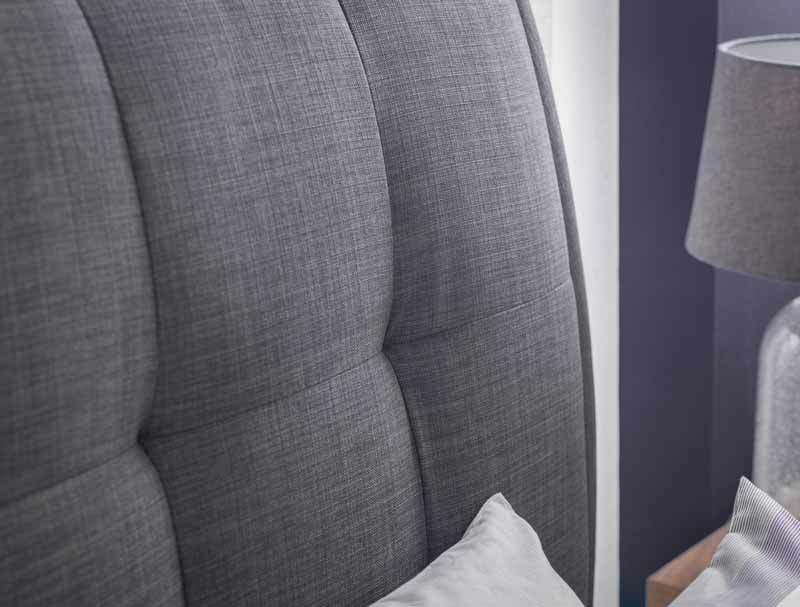 England, Wales and lower Scotland are free of charge, please note Central Scotland and Scottish Highlands and other postcodes like LL and SA will incur a delivery charge and an extended delivery period, for more information please see delivery page.